We’re keeping this page up until the Steam release to allow people to download the old pre-alpha version of Barotrauma. Please note that this is an outdated version that hasn’t received any major updates in almost a year. It was developed by a handful of hobbyist developers on their free time, but since Undertow Games partnered with FakeFish early 2018, we’ve had a team of dozen professional developers working full-time on Barotrauma, and we’ve vastly improved almost all aspects of the game. You can wishlist Barotrauma on Steam to get notified as soon as the game is released through the following link: https://store.steampowered.com/app/602960/Barotrauma/. Barotrauma takes place several hundred years in the future. In this time, humanity has established several colonies on Europa, one of Jupiter’s moons. Due to the deadly amounts of radiation on the surface of the moon, the colonies are constructed under its icy crust. The vast subsurface ocean under the crust is used as a transport route between the colonies and a source of natural resources. 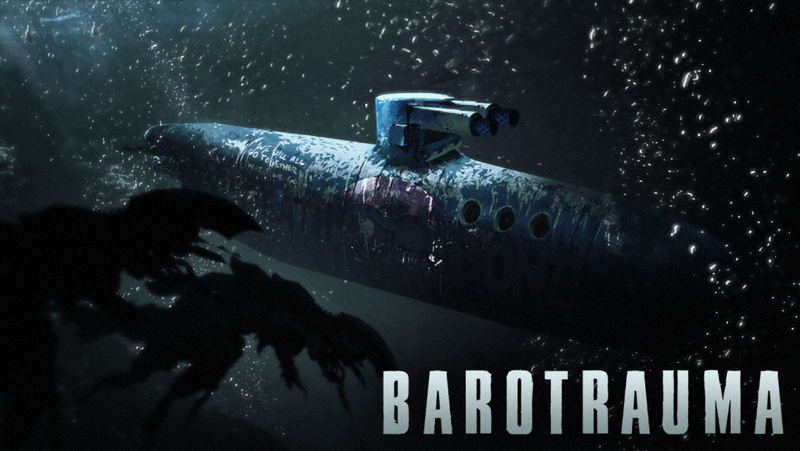 In Barotrauma, the player will step into the boots of a recruit on board a submarine traveling in the subsurface ocean. The player’s job is to keep the submarine operational, while carrying out various tasks to earn funds for buying supplies and hiring new crew members. Maintaining and operating the submarine itself isn’t the only challenge, as the ocean is filled with bizarre creatures ranging from harmless small fish to gigantic horrors more than capable of destroying the entire vessel. The game can be played either in single player mode in which the player can choose which crew member to control (others being controlled by AI), and an online multiplayer mode where each player controls one of the crew members. The game is being developed using the MonoGame framework, with physics provided by Farseer Physics Engine and networking by Lidgren.Network.